The first time I saw this quilt it struck me with all the energy and joie de vivre of spring. The scrappiness, the bright colors, the funky quarter-dresden shape - it’s truly divine. I felt like such a lucky duck when Joy Martin @themakingsofjoy sent it to my studio for edge-to-edge longarm quilting! I couldn’t wait for quilting day to arrive. Stretched on my quilting frame, it was such a delight to behold. So, so many bright, cheerful fabrics set against light and dark values for maximum impact. Swoon. Each 5” block gets to be a separate vignette, a little scrappy world unto itself, so perfect for using up scraps. Joy and I decided on simple Continuous Eight quilting for her masterpiece. Simple, yes. But also soft and vaguely modern. It reinforces all that appliqué without stiffening the quilt. So, um, I reallllllly like this quilt. Obviously. I think that’s clear. And then I put it on my bed for some final glamour shots… and my heart grew three sizes. There’s no point in resisting. I MUST make this quilt. Not queen-sized, because my husband is not nearly ready to give up our neutral bed quilt, but still, I absolutely must make it. I just know I am going to adore the process as much as the results! Rest assured, the quilt was returned to its proper home, haha. In fact, Joy and I have been talking. She’s graciously given me permission to host a stitch-along for the Drummer Boy Dresden quilt and/or produce a pattern. I would construct the quarter dresden a little differently than she did for efficiency. 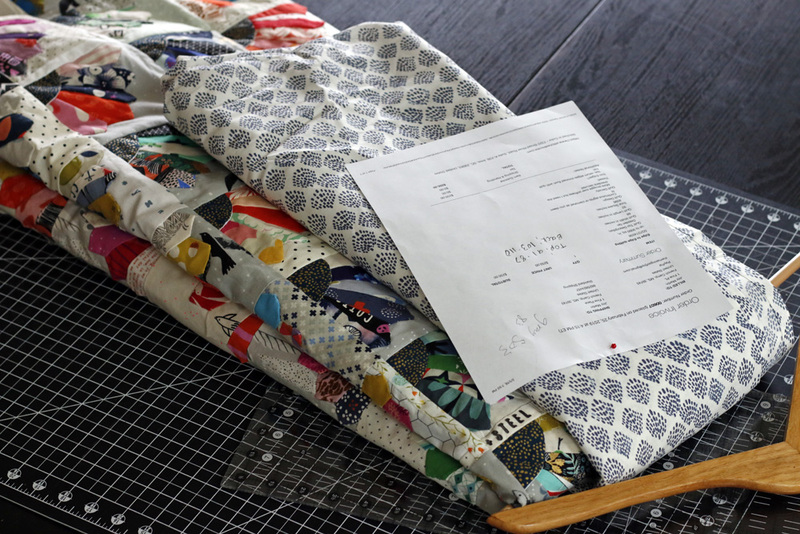 Thus, the pattern would include templates for cutting the Dresden fans and quarter-center, instructions, as well as fabric requirements for five quilt sizes. What say you? I’m definitely making my own version this summer. Do you want to join? How about a June/July stitch-along? Is this a pattern you’d be likely to buy? Thanks for taking a moment to weigh in!